The fall of Mall Fast fashion: What happened? 579, Wet Seal, The Limited and now Charlotte Russe…in the age of fast fashion, why are the orginators failing..TFG investigations. The closure of NY Charlotte Russe that just opened last year was the nail in the mall fast fashion so why in the era of fast fashion are the originators failing? Here is our opinion. Mall visitors have steadily declined since the rise of the internet and gaming. People went to mall as something to do in the 80’s and 90’s but with the rise of other forms of entertainment, people just don’t need the mall anymore. With fewer traffic, there isn’t enough people to sustain the cost of a mall mortgage. Solution: Rainbow was never a mall brand and now is the biggest fast fashion provider in the US. Charolette Russe left the mall too late. The mall customer included moms who went shopping for their kids and wanted to pick out something for themselves. Not only are 60% of people now single but most stores have a kid section built right in. So, these customers no longer exist which also effected Gymboree which closed all their stores and now will be selling clothes at retailers instead. I can now go to Zara and pick up clothes for me, my significant other and any kids in one spot. Solution: In next 10 years, brands have to push kids clothes or make kids clothes while changing the look and feel of products that seem to cater to youth and not to working set. More women are entering the workforce with 53% of women working today but clothes are still focusing on teens and college students. The products of mall clothes remained the same and looking at the fact that Charolette Russe can’t offload their shoes is an example of product development failures. Who is wearing stilettos anymore in 6+inches? If you sell boots regularly…then why aren’t you making more of them? Resistance to change is the biggest issue facing American companies and they rather merge than look for new ways to attract customers or push the same tired products. So if you want sell to gen X and millenials, vary your products, make leisure friendly items and adopt a principle. 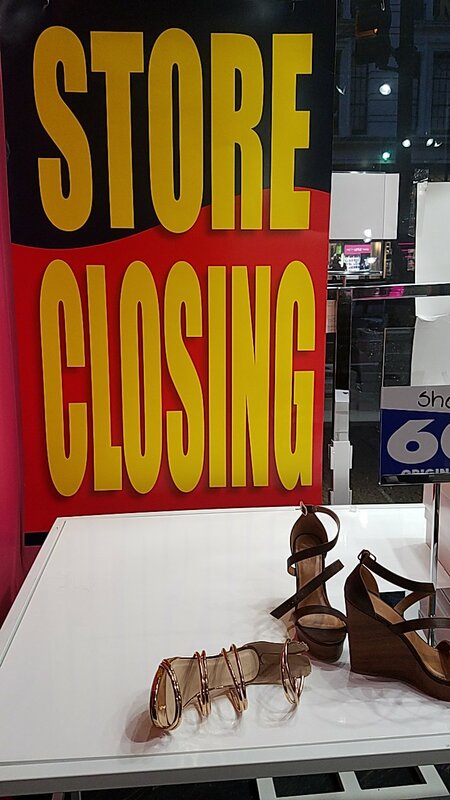 Posted in: Fashion News ⋅ Tagged: Charolette Russe closes all their stors and online, The fall of the mall brands, why are fast fashion mall brands failing? Get a 50 pack sample of chips!! Get $1000 to Spend on AMAZON! !